After a year of testing this thing all over the place I am ready to sit down and write a review. I’ve decided to do so in categories so I dont miss anything. If you are here for info on the rod and dont want to read a bunch of opinion you can simply scroll to the area you are interested in and read that. Scott sent me their 9′ 5wt rod to review. This rod has an awesome buckeye burl wood reel seat. It looks great with all of the modern reels. I like that it keeps the traditional look of wood but modernizes it, lets face it, this is not the 90s anymore. The reel seat also keeps the rod light which i’ll discuss further on in this review. The cork has held up great, its the best cork i’ve ever experienced on a fly rod. After a year of use there is no pitting which I can say about my other rods from S…. and W…….. The blank is left a graphite gray. It feels durable, like I’m not going to scratch paint off of it. The guides are great, they are springy so they give a little while assembling the rod or while you have it at full flex on a fish. This rod is my most fishable rod. I’m not just saying that for this review. Yesterday I fished for bass with big heavy flies. A heavier rod would have fit the bill better but I enjoy fishing the Scott so much that I just took it. Heres a shot from some gopro footage I took. Here i’m at full flex, reefing on a sizable bass with no fear of the rod breaking. Obviously this is not meant to be a bass rod. The S4, for me, does two things extremely well. 1. It’s my go to nymphing rod. I can fish any nymph rig i’ve tried from big to small. It handles two big split shot, flies and indicator no problem and its light weight allows for effortless mending and high sticking all day long. 2. Throwing trout streamers. I like fishing streamers to trout on a floating line with a split shot near the fly. In Nevada last year I was able to catch and land a 22″ brown with this technique. 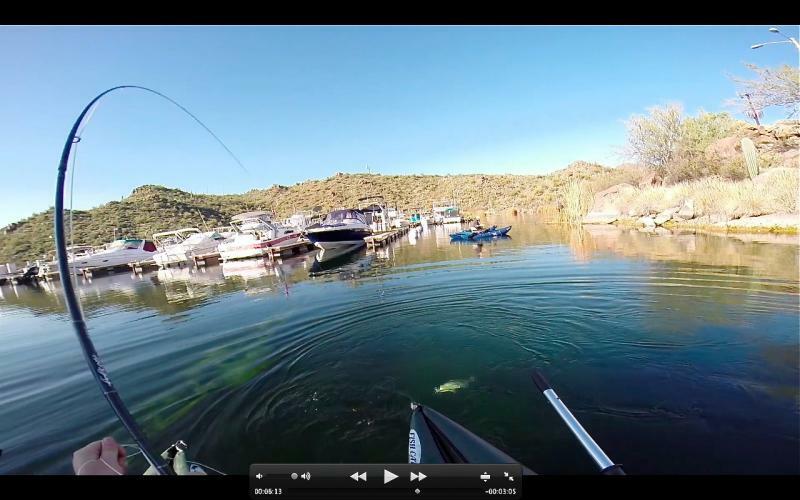 The rod put the streamer right where I wanted, all day long and accounted for some insanely fun streamer fishing. I’ve thrown streamers in size from size 8 sculpin imitations all the way up to double bunnies. If you mostly fish dry flies than you wont like this 5wt. The rod is super sensitive but its very fast. I have tried fishing dries with it and I cant get a nice soft laydown. Maybe its just me. The great news is that Scott makes the S4 is 9′ 4wt AND 9′ 3wt. I bet that 9′ 3wt is a dream for dry fly fishing and light nymphing. Those who fish with me know that i’m crazy about balancing fly rods. Some people can throw any 5wt reel on any trout rod and never notice any difference. Me on the other hand, I get hung up on ounces and balance points and wont stop until I find a good match. 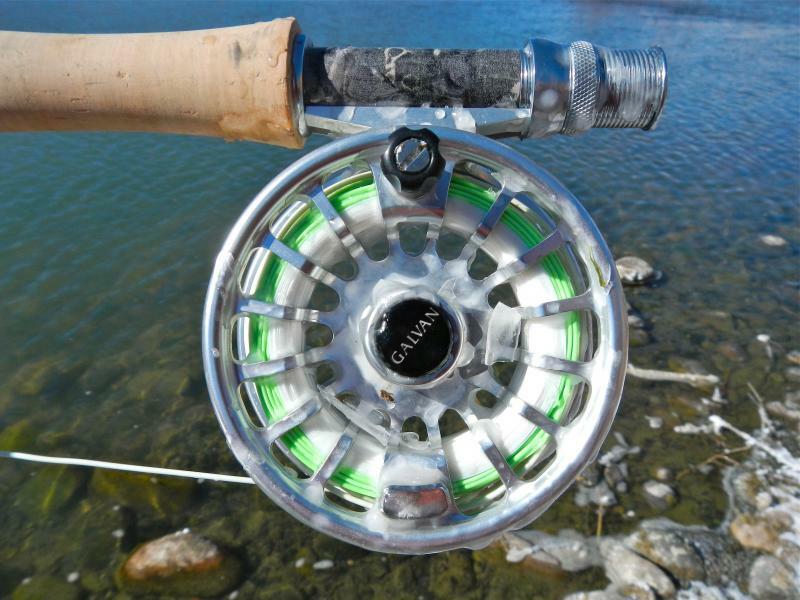 I love Galvan reels. Originally I had a Galvan T-5 on this rod but it was too light and made the rod feel tip heavy. I swapped it out for a Galvan T-6 and its perfection. The Scott S4 9′ 5wt weighs just 2.9 ounce. The Galvan T-6 weighs 5.2 ounces. I think because the reel seat and cork portion of the rod is so light, the little bit heavier T-6 balances better. This combo is light in hand and effortless to cast and fish. The rod has held up great. It looks nearly as good today and the day it was sent to me. The guides have the give you need but snap right back in place. This is a rod I would never sell. Right now Scott is closing them out. There are a few deals around and If I were you I would snap one up before they are gone. 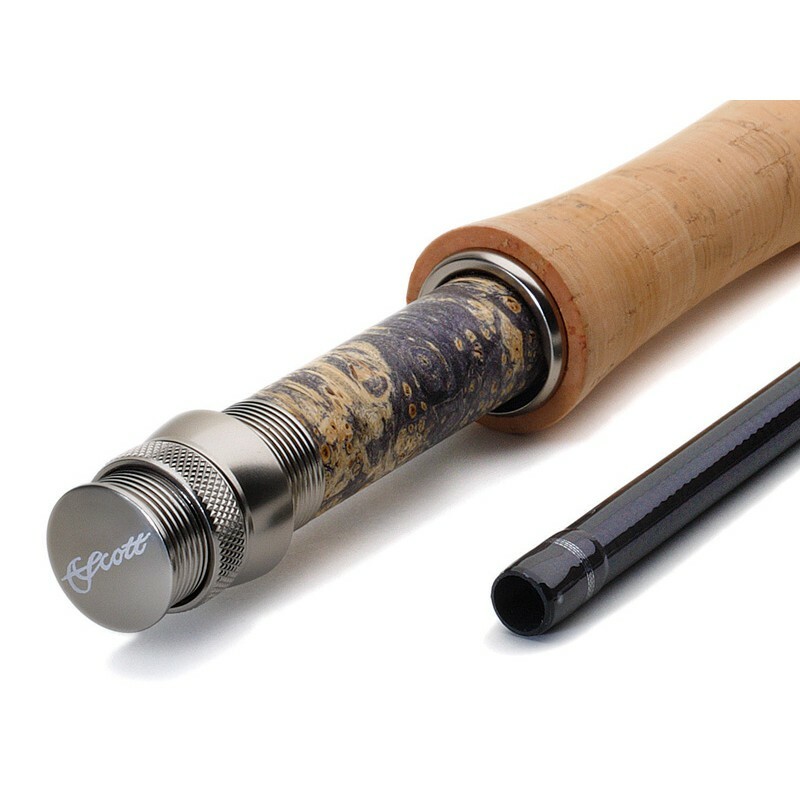 This rod has turned me on to Scott rods. The video below shows the craftsmanship that goes into each and every Scott. This entry was posted	on Monday, May 12th, 2014 at 8:50 pm	and is filed under Gear Review. You can follow any responses to this entry through the RSS 2.0 feed. You can leave a response, or trackback from your own site. Are you actually weighing the rods and reels or going simply from published marketing literature? Hi Michael, I haven’t weighed the rods. I should probably buy a small scale for that. Do you have one you like using? Great review! I’m using it and really delighted!